A fat flush diet is a detox and diet plan that aims to eliminate toxins from the body to aid in weight loss. Developed by Dr. Ann Louise Gittleman, the fat flush diet focuses on eating healthy fats, complex carbs in moderation and lean proteins while eliminating processed foods high in refined sugars and unhealthy saturated fats. In her 2005 book "The Fast Track Detox Diet," Gittleman includes a juice combination of cranberry juice and lemon juice to aid in flushing the body of accumulated waste products. Consult with a physician before initiating this or any other dietary plan since caloric levels may be too restrictive in initial phases, which can lead to health risks. The juice that is part of the fat flush diet consists of ingredients intended to help stave off hunger. Such ingredients include water, cranberry water, lemon juice, orange juice and a natural sweetener, such as stevia, to taste. Herbs and spices, such as cinnamon, nutmeg and ginger, also are added in small amounts. Gittleman claims that the ingredients will help balance blood sugar levels, increase the metabolic rate to burn more calories and increase energy levels. A cranberry juice and lemon juice cocktail drink is rich in essential vitamins and minerals that aid in normal body processes and improving health. Both juices are a source of vitamin C, which thins out bile to allow the liver to break down fat more efficiently. This helps eliminate waste products such as undigested foods from the body to flush out fat. 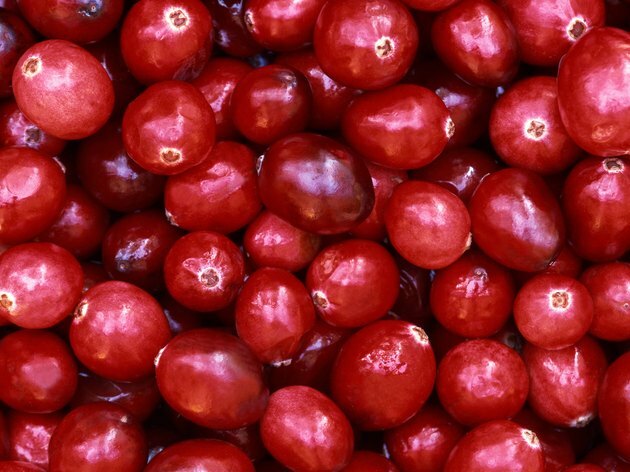 Furthermore, cranberry juice contains arbutin, a diuretic that helps flush toxic fluids from the body that contribute to bloating due to excess water weight trapped in the tissues. Antioxidants present in cranberry juice also aid in protecting against and preventing diseases such as heart disease and certain cancers. Cranberry and lemon juices also contain some essential nutrients. Lemon and cranberry juices provide vitamin C, a nutrient your body needs to produce collagen -- a component of healthy skin and bones. Cranberry juice also contains vitamin E, an antioxidant, as well as vitamin K, a vitamin essential for bone healthy and proper blood clotting. While a restrictive juice-based fat-flush diet will likely leave you deficient in other essential nutrients, the juices used to make your juice blend offer some nutritional value. Although the fat flush diet may assist with weight loss, it is primarily the result of a lower calorie intake that leads to water weight losses initially. Weight loss occurs when calorie intake is lower than calorie expenditure. Drinking fluids that are low in calories and mostly water-based, such as the the juice blend, may alleviate water retention that causes stomach upsets such as bloating and flatulence as well as constipation. However, there is not enough scientific evidence proving that cranberry juice and lemon juice have specific weight-loss properties. Individual results are highly variable, so consult with a health professional regarding your specific needs.